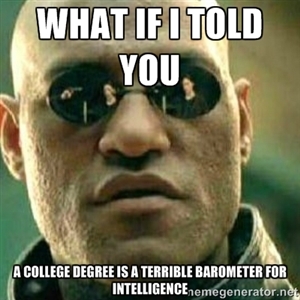 ‘Educated Idiots’ – Did That Really Come Out of Your Mouth? Merry Christmas and Happy New Year! Yes, it’s that ‘tweener’ time of the year. That crazy, mystical time of the year when both holidays fall in the middle of the week. Do I get mail? What stores are open? When do the kids go to school? It is the ‘mystical’ time of the year because we are inundated with that great American tradition – college football bowl games! I have been watching them for a week and the great games are yet to come! Yippee skippee! Yesterday was the second anniversary of my official beginning of writing this blog, December 28. Even though I fought and struggled to write this blog yesterday, the mind was somewhat willing, but the body was definitely weak. As a result of it being a Sunday, I decided to take a much needed break from watching the college bowl games. There weren’t any televised yesterday anyway. I watched the pro games. Have you ever been dumbfounded by some of the things that come out of the mouths of supposedly educated people? I know I have. Early in life I discovered that not all educated people have ‘street smarts.’ For instance, while someone that has an advanced degree could max any college test known to man and could rate at the top of a mensa entrance exam, he may not know how to change a lightbulb. These people have all the ‘book’ smarts that one could possibly have and yet would not likely know how to change a flat tire if their lives depended on it. We all know some of these people. I have a term for them – educated idiots. They are not stupid, they just did not inherit that gene that provides them the ability to cope with every day, common sense situations. Thinking ‘on their feet is not one of their fortes. I once had a young junior officer in my military unit that had a master’s degree in engineering. Everyone outside the military would always emphasize that he was a brilliant person, a genius by all measures! I had two incidences with him. The first was when a field grade officer, as a reward after a successful evaluation, brought two large watermelons into our field headquarters for the staff. The young officer asked the Major where he got the watermelons. The Major pointed into the woods and jokingly replied that he found them in a ‘wild watermelon patch’ located about 200 yards from our headquarters area. Now I need to point out that there is no such thing as a ‘wild watermelon patch,’ much less one to be found in the overgrowth of a coniferous/deciduous forest. There was plenty of watermelon for everyone present, but the young officer decided he would be a hero and search for more watermelons. Before we knew it, and before we realized what he was going off to do, he spent two hours looking for that watermelon patch! My second incident with the junior officer was when he was required to write a statement that was approximately three sentences long. He had to write this in long hand, as there were no computers or processors available for this form. I was appalled. Both his handwriting, spelling and grammar were at a third grade level! Eventually, he was discharged from the military. In retrospect, I missed an opportunity. If I were to have asked him how the pyramids were built, he might have ended centuries of curiosity with his likely profound explanation. Enough about my life experiences with ‘educated idiots.’ I am going to provide statements from political figures and you will provide the name of the ‘educated’ person that gave that statement. I was going to do this with movie and television celebrities as some of their statements are astonishing. It was decided that most of them are not educated and I would be writing for another two years to cover their statements. Here we go………. What graduate of both Wellesley College and Yale Law School said the following: “Don’t let anybody tell you that, you know, it’s corporations and businesses that create jobs. You know that old theory, trickle-down economics. That has been tried. That has failed.” This person made this statement while campaigning for a gubernatorial candidate in the last election. Who made this statement? Wait for it……wait for it……..Hillary Rodham Clinton, on October 24, 2014, while campaigning for Martha Coakley who was running for governor of Massachusetts. Hasn’t Hillary Clinton been lauded as the smartest woman in Washington? If corporations and businesses do not create jobs, exactly who does? I believe we have witnessed and experienced a Freudian slip with Madam Clinton supporting a much bigger government. After this speech was televised, Madam Clinton’s minions attempted to do damage control by saying she really wanted to address corporate tax cuts and corporate outsourcing. If that is indeed the case, it surely appears she missed the mark. Admittedly, I had to throw this one into the mix, just so I had one conservative comment. This was said by George ‘Dubya’ Bush at his last G-8 summit. He said this as he was punching the air and grinning while departing Rusutsu, Japan, July 10, 2008. ‘Dubya’ had received much negative publicity from the liberal media because he did not sign the Kyoto Agreement concerning global pollution. He did not sign it because China and India did not sign it, and they are the world’s largest polluters. I am throwing you an underhand softball on this one. Think about it. Time is up! This statement was made by house speaker Nancy Pelosi while waxing poetic about President Obama’s healthcare law on March 9th, 2010. As one pundit pointed out, this was similar to someone handing you a plate of Tuna Surprise, and you said “Hey, what’s the surprise in your Tuna Surprise?” and they said,”…..why don’t you eat it and find out?” It appears we are being more and more surprised by the Affordable Healthcare Act as time goes on. If you don’t remember his name, you certainly remember his face. Those comments were made by Jonathan Gruber, one of the Obama administration’s consultants on the Affordable Care Act. Additionally, Gruber said the following, “This bill was written in a tortured way to make sure the CBO (Congressional Budget Office) did not score the mandate as taxes.” All of these comments were made and recorded at the Annual Health Economics Conference held in 2013. On December 24, 2009, the United States Senate passed the Affordable Care Act with a vote of 60-39. The vote was split precisely on party lines, with one abstention. On March 21, 2010, the House of Representatives voted to pass the senate version of the Affordable Care Act by a vote of 219-212. All of the pro votes were from Democrats. The against votes were from all 178 Republicans and 34 dissenting Democrats. As you well remember, the Democrats controlled both the Senate and the House at the time. Now we find out that even though our President promised government transparency, this law, commonly known as Obamacare, was passed in a very non-transparent manner. 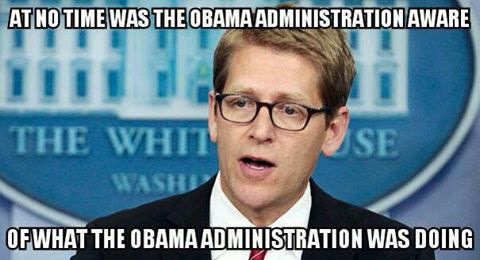 So who are the real idiots to whom Jonathan Gruber was referring? In retrospect, I don’t think it was the American voter. I think it was the representatives that were elected to represent our best interests – those that passed this law. They passed this 2000 page law without having read it, or without any clue as to how it was to be administered and managed. Look at the problems associated with the website. This falls right into the presidential feel-good political motto of Hope and Change. I have often wondered what we were supposed to hope for and what exactly we were changing? Again, I don’t think our representatives have a clue, but it all sounds good and doesn’t it give the voter a warm and fuzzy feeling? More than a few voters may have heard harps and seen rainbows and unicorns at the mere chant of Hope and Change! Who may have become the smartest people in the last few years? Contrary to what the eminent Johnathan Gruber says, I think the smartest people are the American voters. Why? Because in four short years we have gone from a Democrat-controlled House and Senate to a Republican-controlled House and Senate that will be sworn in on January 5. Now that’s what I call Hope, followed by a whopper of a Change! Do you think this is what Obama had in mind with his motto? I mentioned that December 28 marks the second anniversary of Common Sense by Grandpa T. On our one year anniversary, we had 42,556 unique hits on our website. It was most humbling. This year, on the second anniversary, we have had 130,612 unique hits! Amazing! I want to thank the Bayou Mauler for the much appreciated editing and my Houston Nefoo for his graphics. Without them this would not be possible. I would also like to thank the three avid readers that diligently follow my blogs. This entry was posted in Common Sense, Common Sense Solutions, Congress, Political Insight, Political Opinion, Politics and tagged Hilary Clinton, Jonathan Gruber, Nancy Pelosi, political decision making, political principles on December 30, 2014 by Grandpa T.